UDM Downloads > Smart PDF Bookmarks! PDF Bookmarks is a professional software application specifically designed to allow users to very easily and quickly create, modify or delete bookmarks within PDF documents. With this tool, you can also create tables of contents within your PDF documents with only a few clicks by creating a nested bookmark structure with different levels. You can name bookmarks and arrange them easily by dragging and dropping them in the appropriate place. You can also assign a page for each bookmark.With PDF Bookmarks, you can quickly jump to any location in a long PDF document. You can use the Find a Bookmark feature to easily locate a specific bookmark in case your PDF document contains a large number of bookmarks. The software's convenient interface makes it easy to work with the application even for first-time users. 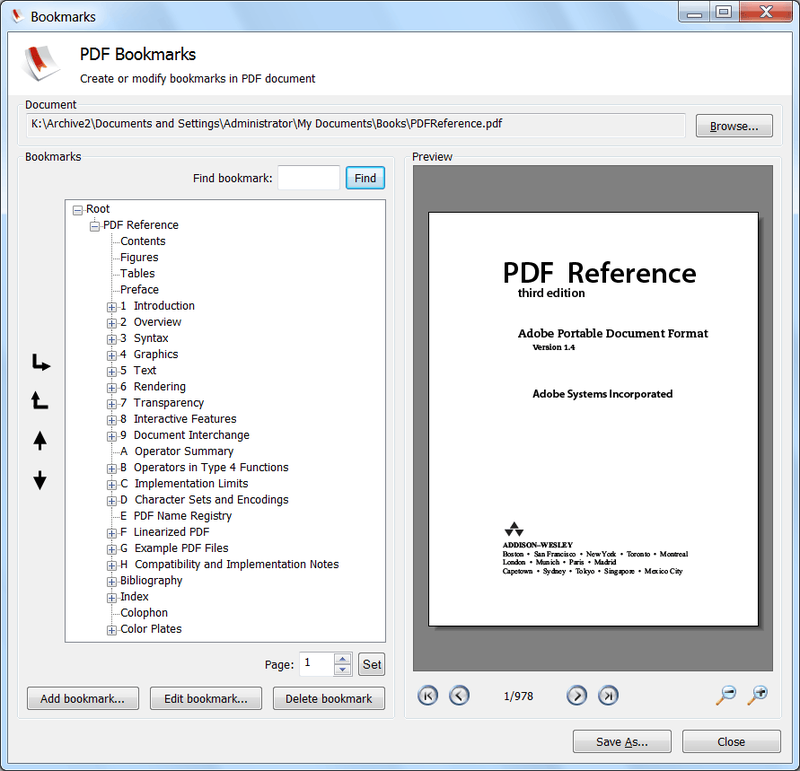 PDF Bookmarks is compatible with all Windows OS. The application is developed by SmartSoft, the developer of Smart PDF to DOC Converter.